of 1/20 till 5/10 of column. 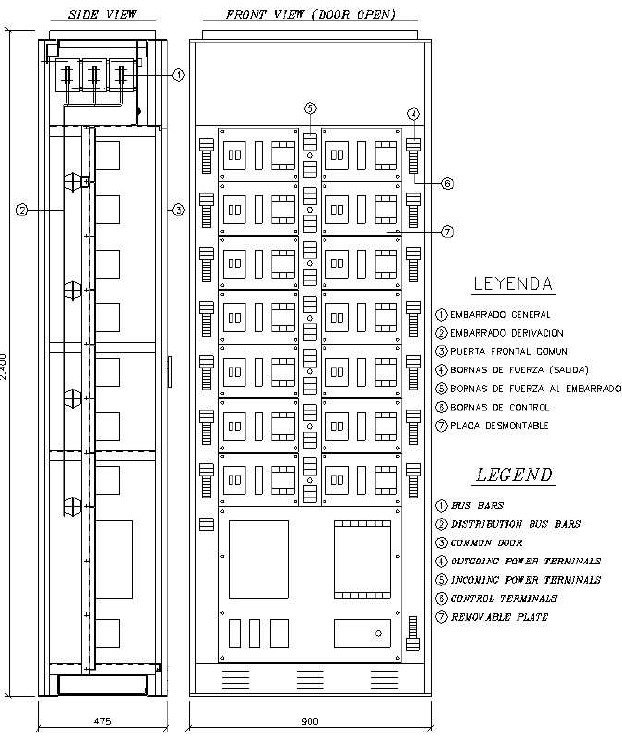 Adjustable dimensions to particular requirements. Rated insulation voltage: 690 V., 50/60 Hz. Rated service voltage: 690 V., 50/60 Hz. Short-time 1 sec. 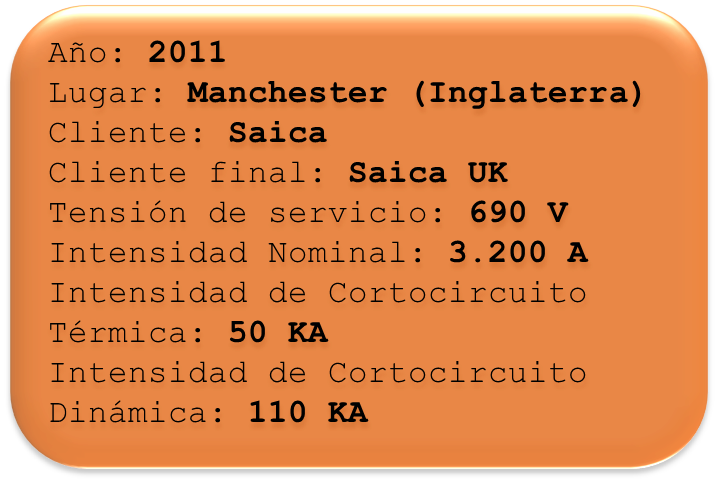 current Up to 100 KA., RMS. Peak withstand current Up to 250 KA. 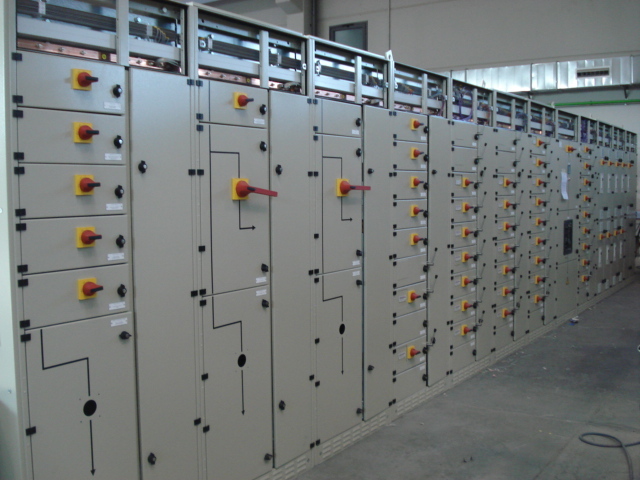 Distribution bar	Rated current Up to 80 A.
Compartimentation type: 3b o 4b. 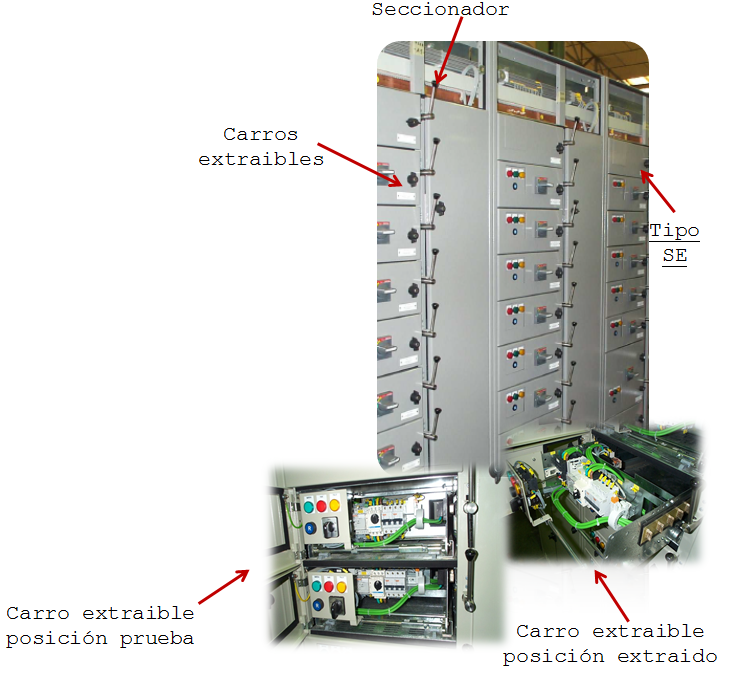 Short-circuit execution according to IEC 61641. * Other values, on request. 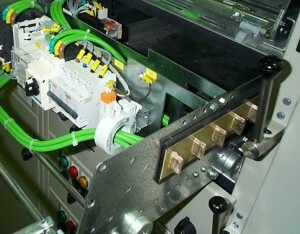 Each unit has a load switch 6-pole and double pole break . 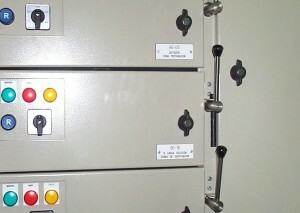 This switch is the connecting element between the fixed and the removable portion . The door will be locked while the switch are closed. fed the control circuit: TEST position. With the door open you can not close the switch. With the extracted frame and the closed door you can not close the switch.